Lord, wherever I go, I leave my fingerprints. On the hands that I touch, on the plates, walls and books. Wherever I touch I leave a sign of my identity. Barbara Jane Seelbaugh, 66 passed away Dec. 11, 2016, at Butler Memorial Hospital of natural causes. Born Dec. 11, 1950, in Pittsburgh, she was the daughter of the late Louis Seelbaugh and Wanda Marcheck and foster parents, Ambrose and Margaret Back of Valencia. Seelbaugh graduated from mars High School. She worked at Moonlight Mushrooms. Barbara is survived by her brother, Charles E (Dolores) Seelbaugh of Valencia; her nephew, Charles M. (Amy) Seelbaugh of Mars; and nephews, nieces and great nephews and niece; half-brother Donald (Paula) Marcheck Stair of Dudley, PA .
Barbara Swartwelder, 44, of Butler passed away December 15 at her home. She was born August 25. 1972, in Pittsburgh, the daughter of the late Robert and Patricia (Cain) Swartwelder. Surviving are three brothers, Curtis Swartzwelder, twins, Garry and Larry Swartwelder, all of Monaca; and her sister, Velma Erne of New Kensington. Barb will be missed at the Grapevine by all her friends and the Staff. Rania Lynn Green, 39, of West Sunbury passed away Saturday, Oct 1, 2016 at Butler Memorial. She was born Jan 5, 1977 om Butler, to Ken & Mary Eppinger Green of Butler. Rania was a member of North main Street Church of God. She was an active member of the Grapevine Center in Butler. She was always fun-loving and adventurous. She is survived by her son, Brady Louis Green of West Sunbury, her parents, sister Lisa (Rick) Crawford, of Hilliards and their two sons; as well as her grandmother, Margaret Eppinger. Rania will be sadly missed at the Grapevine. John H. “Bongo” Fry, 53, of Butler, passed away Monday, August 22, 2016 at Sunnyview Home. He was born September 11, 1962 in Butler, the son of the late Clarence Hilton Fry, jr. and the late Florence (Nagle) Fry. John was a member of St. Peters Catholic Church. John graduated from Butler High School. He participated in bowling with the Special Olympics, and was an avid Steeler and Pirate fan. He is survived by 4 sisters, Mary (Charles) Carmody of Butler, Aggie (John) Bennetti, Jan (Bob) Oesterling of Butler, and Kathy (Ryab) Rettig of Fenelton; and many other family members. He was a Grapevine member of the who will be sadly missed. Richard Doctor, 75, passed away July 17, 2016 at Butler Memorial Hospital. Richard was born April 1, 1941, in Highfield, PA where he grew up, to Ann and Geza Doctor. He was a graduate of Butler High School and attended Penn Technical Institute. Known to his friends as “Doc”, Richard spent much time riding his bicycle year round in Butler, mostly around the West End area of Lyndora. Doc enjoyed sitting on his front porch with his dog and cats ad visiting with friends. He kept up with the news and enjoyed talking about science and politics. He also enjoyed cooking for his friends. Doc had a big heart, loved people and they loved him. He will be missed by many. 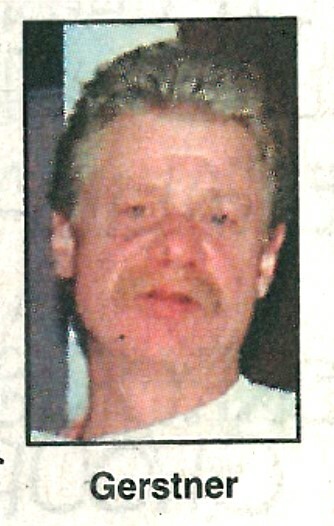 He is survived by his daughter, Paige, two sisters, Diana M. (David) Bennet of Renfrew and Judy A. (Gary) Fleeger of Renfrew; and his nieces and nephews. 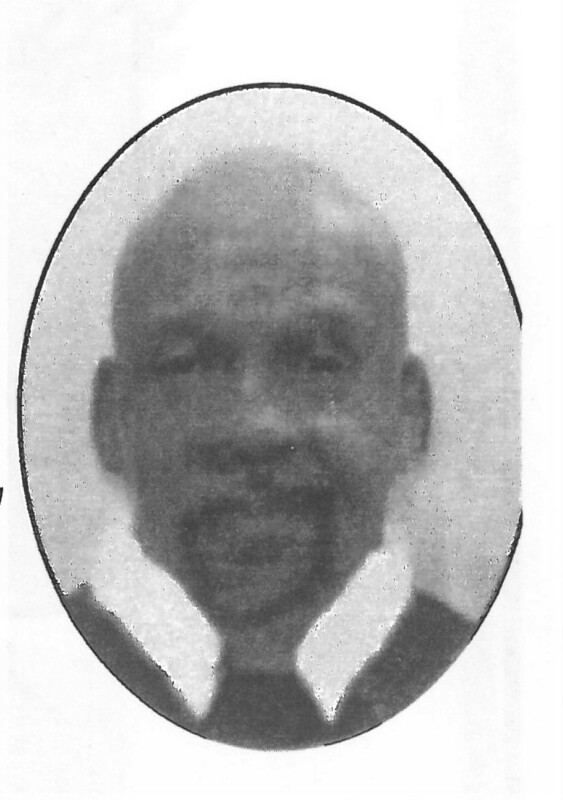 Alvin Lee Swain, 59 of Butler, PA, passed away on Friday, April 29, at his residence. He was born February 20, 1957 ub East Liverpool, Ohio, to Stella (Nusser) Milocik and the lat Larry Swain. 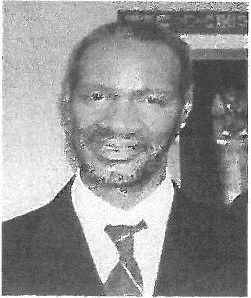 Alvin was a member of First United Methodist Church Crossfire Campus. He worked as an EMT Radio Announcer and Truck Driver. Alvin was a veteran of the United States Marine Corps, serving during the Vietnam War Era. He was a Past Commandant of the Bantam Marine Corps League Detachment # 743, the America Legion Post #117 and the East Butler Fireman’s Club. Alvin enjoyed fishing, boating, camping, the outdoors and especially his grandkids. He is survived by his wife Nancy (Panei) Swain, two sons, Matthew Swain and his wife Rebecca; and Mark Swain and his partner Lorena of Butler, five grandchildren, his mother, step-father George Milochik of Monaca , PA , brother William Hartley (Tracy) of Aliquippa, PA, sisters Donna Gulish (John) of Beaver Falls, PA; Brenda Adams (Bob) of Aliquippa, PA; and Ruth Ann Canfield of AZ, and many nieces and nephews. The Bantam Marine Corps League Detachment # 743 provided military honors at his funeral. He is buried at National Cemetry of the Alleghenies. Randall Jay Bowser, 52 of Butler, Pennsylvania, went home to be with hi Lord & Savior on Tuesday, April 26, 2016 at the VNA Inpatient Hospice. He was born May 3, 1963 of Butler to Doris Murdick Bowser and the late Merle Bowser. Randall was a devout Christian, a Steelers fan, enjoyed the outdoors, camping, fishing, listening to music, and had a great sense of humor. He is survived by his mother, sister Denise Green Meinik and husband John, brother Duane Bowser and nephew, niece and great niece. He is buried in the Oak Grove Cemetery. Mike Musick passed away on Tuesday, March 1st, 2016. 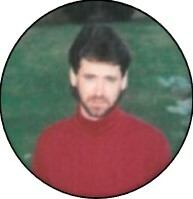 Mike was a long time member of Grapevine and AA who waged a long time battle with D & A addictions. He had been clean for the past 3 years. He worked in jobs from sales to construction. He was a kind person who would do anything for anyone, and share what little he had. However, he was a loner much of the time. He loved his family and is survived by a sister, Michelle and two brothers. He will be missed at the Grapevine. Douglas F. Hockenberry 56, of Butler passed away on Saturday, Jan. 9, 2016 at his home. He was born Dec. 22, 1959, in Grove City to the late Floyd Hockenberry and Janice (Thompson) Hockenberry. Doug enjoyed watching Steelers football, Penguins hockey and listening toclassic rock. He loved being with his family. Doug is survived by his wife of 15 years, Angela (Crawford) Hockenberry whom he married June 9, 2009; his children, Ashley and Ryan; brothers Steve, Greg and Randy Hockenberry; and many other family members. Tyrone Bistransin, 47, died unexpectedly Saturday, December 26, 2015, at his home. Born April 4, 1968, in Butler, to Elaine (Sstedman) Bistransin and the late George Bistransin. Tyrone graduated from Butler High School, where he played football and was on the track team. One of his most memorable experiences, he recounted, was playing with a professional football player. He had attended the University of Pittsburgh and worked as a lab technician for Boston University. He was well-liked at the Grapevine Center and known as a very quiet person who spent a lot of time on the computer, yet was quite outspoken on subjects he cared about. He is survived by his mother and siblings: Michele Ellett (Benecia, CA); Richard Bistranin (Jamestown, OH); George Bistransin (New York, NY); Della Weidel (Jamestown, OH); & Andrew Bistransin (Columbus, OH); and his nieces and nephews. 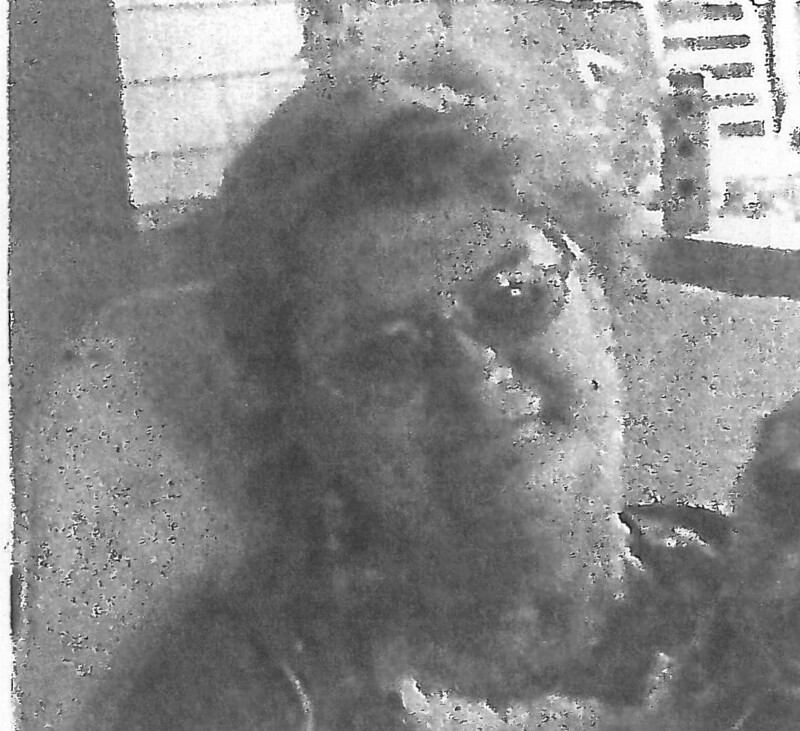 Lillie Charlsey Sharlene “Stormy” Hartwell, 59 of Butler, passed away September 16th, 2015 at her residence. She was born June 4th, 1956 in Clovis, N.M., the daughter of the late John G. Hartwell and the late Faye (King) Hartwell. Stormy had a very artistic and creative spirit. She loved to work with her hands and created beautiful jewelry. Spending time with her family and friends was a joy to Stormy. She had a huge heart and would help anyone in need. Stormy could make a friend out of a stranger with the utterance of a kind word. Throughout her life, her beloved dogs Dora and Harley were constant companions and brought her great happiness. She is survived by a daughter, Katina (Merril) DeGreen of Butler, four granddaughters, two sisters, and two brothers. Jeanne E. Schuring age 53 of Harmony, passed away on Sunday, June 7, 2015. Born on October 17, 1961 in Redbank, New Jersey she was the daughter of Louise Frenchman and the late Leonard F. Reilly Jr.
Jeanne was an avid animal lover and especially loved her two dogs. She enjoyed going out to eat and above all spending time with family and friends. She will be missed and fondly remembered. James Arthur “Jimmy” Hicks Sr.
After High School, Jimmy joined the U.S. Army. He served in Germany as one of the famed 82nd Airborne Paratroopers. He received a Master’s Degree from Carnegie Mellon University. He went on to work as a Draftsman at Westinghouse Air Brake. Always known as a “sharp” dresser, he worked odd jobs to keep that stellar reputation and signature look: Blue suede shoes, spit-shined Stacey Adams, with slacks with creases so sharp they would almost cut you! He worked at the Grapevine Drop-in center through the Americorps program, driving and helping to run the Center, until a stroke made this too difficult. In his spare time, he loved playing pool at the Center. He was also a long time member of AA and was well liked and respected in the community. 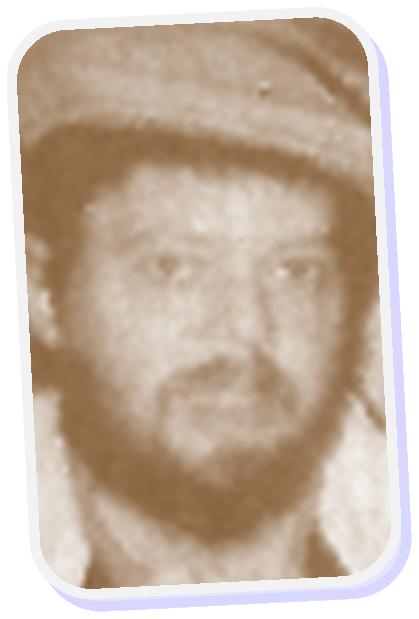 He was married to Eleanor Louise Ford Hicks with whom he had five children who survive him: Jon C. Hicks (Taleeta), James “T-Pot” Hicks (Michele), Levi Hicks, Dawne Hicks, Christopher Hicksand 18 grandchildren; 12 great-grandchildren as well as a sister and brother and other relatives. Larry Joseph Gerstner 58, of Butler passed away Sunday, Feb. 1, 2015 at Butler Memorial Hospital after a long illness. He was born Aug, 5, 1956, in Butler, the son of the late Robert L. Gerstner and Cleo Hepler Gerstner. Larry enjoyed tennis, bowling and Ping-Pong. Surviving are his two sisters, Barbara (Anthony) Stelluto of Franklin Park, and Debby (Jim) Barr of Butler; his brother, Bob (Vicki) Gerstner of Butler; three nieces; a nephew; and a great-niece. The family has kindly requested that contributions honoring Larry’s memory be made to the Grapevine Center, where he spent so much of his time, and where he will be sadly missed by all his friends. Diane Tavelli 61, of Slippery Rock, passed away unexpectedly on Sunday. January 18th, 2015. We learned of the passing of our former co-worker and friend with great sadness. Born on June 16th, 1953, in Pittsburgh, she was the daughter of the late John and Irene Occhipinti Porco. Raised Catholic, Diane retained a strong Christian faith throughout her life. Her likable personality allowed her to make friends anywhere she traveled. For those of us here who knew her, we will always remember the way she greeted us with that sweet smile and laugh when we entered into her presence. Diane loved company and each visit was a cherished opportunity for her to make her guests feel special, which she did with a pot of coffee and an array of crackers and specialty dips. Through it all, Diane loved life, adored her children and loved her husband. Diane was a very special and dear woman, and will be missed very much. She leaves behind to cherish her memory, her beloved husband, Richard P. Tavelli, who she married on October 21st, 1973; her three children, Steven Tavelli of Pittsburgh, Adam Tavelli of Slippery Rock, and Emily Tavelli of Butler; her brother Allan Porco of Fryburg; and her sister, Sandra Weinheimer of Gibsonia. Robert Matson, 60, of Butler passed away on Friday, 1/2/1915 in his home. Born on March 14, 1954, in Butler, he was the son of Mary Anne Lang Matson and the late Ronald E. Matson. Robert was a veteran of the U.S. Marine Corps. A gifted musician, he formerly played professionally in the bands Generation Gap, Thunderbird Pud and Joe Grushecky and the House Rockers. He was formerly employed at Cueco in Butler as an electrician. Robert was a member of the Saint Paul Roman Catholic Church and the American Legion Post 117 in Butler. He is survived by his mother, Mary Anne Lang Matson, his five brothers, James, Edward, Thomas and William Matson, all of Butler, and Michael Matson of Naples, Fla., his sister Kathleen, their spouses; and a number of aunts, uncles, nieces, nephews and cousins. Harold Niggel, 78, formerly of North Washington Street, passed away on December 20, 2014 at the Sunnyview Nursing and Rehabilitation Center. Born April 10, 1936, in Butler, he was a son of the late H. Carl Niggel and Estella J. Ketterer Niggel. Tex attended Butler High School and was a member of St. Paul Church. He is survived by his siblings David Niggel, East Petersburg; Patricia Coyle, and Elizabeth Jean Pincek, all of Butler, and his numerous nieces and nephews. Ronald DeVaughn, Sr., 67 of Lyndora, formerly of Pittsburgh, passed away Saturday, December 13, 2014 at Good Samaritan Hospice. He was born February 24th, 1947 in Pittsburgh (Homewood), the son of the late Dora Gora. Ronald was a graduate of Westinghouse High School and was a US Marine veteran. He moved to Butler in 1994 and had retired in 2012 from the maintenance department of Butler County Community College. He enjoyed spending time with his children and grandchildren. He is survived by his former wife, Tracy DeVaughn, his children, Ronald Devaughn, Jr., Christopher Locikley, Demetrius Lockley, Mrquett Lockley, Isaiah DeVaughn, Antonia DeVaughn and Aaron DeVaughn, five grandchildren, aunt Martha Lawson, and numerous nieces and nephews. Tony; two sisters, Terrie and Jane; and five children: Shanea, Ian, Jarred, Zachary and Shyra, all of whom he loved very much. He was a painter most of his life, even had his own company which he had to close due to poor health. He was an advocate and collector of wolves. 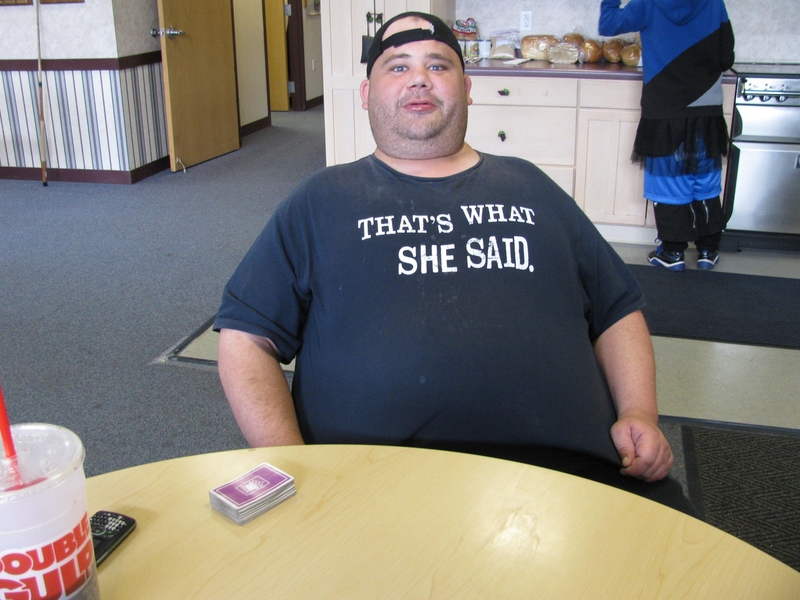 Dennis enjoyed hanging out at the Grapevine Center, and was active in the recovery community and the Center itself. He will be missed. Patricia ‘Bella’ Ahl of Butler, passed away at 10:14 p.m. on Tuesday, May 13th, 2014 at her home. She was born on Jan 6th, 1981 ub /freehold, N.J. to Reid Ahl and Rose Marie (Storms) Ahl. Patricia was a member of the First United Methodist Church. She graduated from Independence University, where she received her Associate of Arts in computer graphics and animals. Patricia was called the “Karaoke Queen.” She enjoyed her family, school, music, computer graphics and animals. Patricia is survived by her mother and father, stepfather Rames Radnor, brothers Ryan Fisher Ahl; of Pittsburgh, and Scott Bailey; sisters, Rani Marie Ahl, and Courtney Bailey, all of Butler; along with her aunts, uncles and numerous cousins. Josephine Payne 64, of Phoenix, Ariz., formerly of Butler, passed away on Saturday, March 8th, 2014 at the Spring Valley Hospital Medical Center in Las Vegas. Josephine, or Josie as she was known affectionately by her friends at the Grapevine Center, was the daughter of the late Raymond P. and Florence Zadrowski Payne. She was a former nurse’s aide for St. Barnabas Senior Living. While in Butler, she attended St. Paul Roman Catholic church. She loved pets and was a loyal and helpful friend. She is survived by her brother, Patrick (Mary) Payne of Emilenton; her nephew Joshua Payne of Emilenton; and her numerous cousins. Her friends at the Grapevine will miss her. Paul Steigerwald 51, of Butler, formerly of Cranberry Township, passed away Friday, Feb. 14th 2014 in the comfort of his home. Born on April 7, 1962, in Butler, he was the son of the late Paul Joseph Steigerwald Sr. and Ruth Lois (McConnell) Steigerwald. Paul had a profound faith in God and loved making people happy. He was a servant by nature and found pleasure in helping others. He was an avid outdoorsman and loved animals of all kinds. Paul especially enjoyed riding motorcycles and bicycles, bowling, gardening, fishing and building model airplanes, cars and trains. He is survived by his brother, Randy McMillen and his companion, Jill, of Evans City: his sister Oretha Rodgers and her husband, Joseph of Jackson Center; two nieces, and a nephew. Edgar Negley 65, of Butler, passed away Sunday, Oct., 13, 2013 at VNA Inpatient Hospice. He was born Nov. 6, 1947, in Butler, the son of Alexander Negley and Genevieve (Nixon) Negley Rearick. He attended Scotland School in Chambersburg, PA.
Ed was a member of the Grapevine, and had worked as a member of our C/FST. He will be missed at the Grapevine. Edgar was a veteran of the U.S Navy where he served aboard the USS Enterprise during the Vietnam War. He was a member of the American Legion Post 117, the VFW Post 249, the AMVETS 272 and the DAV 64. He was also a life member of the Butler Historical Society. Edgar is survived by five sisters, and six brothers. He was one of fourteen children. Mike Potochny, aged 63, died on September 4th, 2013. He was born on June 10th, 1950. Mike was a very well-liked member of the Grapevine. He will be remembered as someone who loved camping, a ‘big guy’ physically and in character. He was always friendly, kind, compassionate, and helpful. R.I.P. Richard Augustino Togni III, aged 44, a valued volunteer at the Grapevine, tragically died on August 25th, 2013, from cancer. He was born on December 18th, 1968, in Walnut Creek in California, to Richard Togni jnr. and Patricia A. Krigbaum Togni. He was very athletic, and extremely passionate about music. Besides the Grapevine, he was involved at the Irene Stacy Center and performed volunteer work throughout the community. He was a member of St. Paul Roman Catholic Church. He will be sadly missed at the Grapevine. Scott, a member of the Grapevine, commonly known as “Scooter,”died at the age of 26 on August 16th, 2013 in his sleep at his home. He was born in Dallas Texas, to Elizabeth and Joe Carbine on November 19th, 1986. A gifted student and avid reader, Scott was especially interested in writing, drawing, history, music and anything outdoors. He graduated from Boiling Springs High School in 2005. He played running back for the Junior varsity football team, was in his school wrestling team, and was an Eagle Scout. He was also active in the youth group at the Carlisle Evangelical Free Church. He attended Slippery Rock University. Scooter will be remembered for his intelligence, curiosity and quirky humor, and his sweet disposition, innate kindness and extraordinary generosity of spirit. He was a joyful man, willing to go out of his way to help his friends. 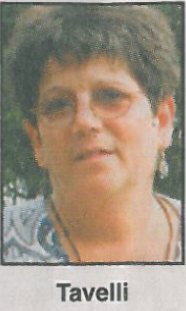 Rosaly Borello-D’Alessandris, 71, of Saxonburg, died suddenly and tragically on July 2nd, 2013 from an aneurysm. She was born on October 22nd, 1941. Rosaly was an accountant by training and worked to the end of her life. She was a member of the Grapevine Center’s C/FST team when she died. She is sadly missed. 4th April 2013 at the Sunnyview Nursing and Rehabilitation Center. She was born June 26, 1946, in Butler, and was the daughter of the late Robert Howard, and Bessie (Barto) Philips. Surviving are two brothers, Robert R. Philips and Randall H. Philips, both of Butler; a number of nieces and nephews, and her friend, Pamela Grabe of Butler. Her sister, Patricia Ann Christy preceded her in death . She will be missed at the Grapevine Center. Dave McBride, 69, of Butler died Friday, March 29th, 2013 at VA Butler Healthcare. He was born Oct. 16, 1943, in Butler and was a son the late Floyd McBride and Kathleen (Cousins) McBride Geibel. Dave was a mental health interviewer for the Consumer Family Satisfaction Team, of the Grapevine Center: He was a wonderful, friendly guy, and will be missed by the staff and his clients, very much. 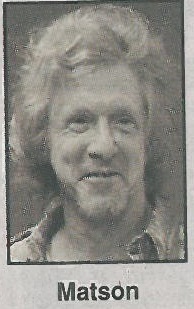 David worked as a television repairman for Kerr’s in Butler, had the Post Gazette dealership in Butler for many years. He was a veteran of the Vietnam War, serving in the U.S. Army. He was also a member of MENSA high IQ society, and had enjoyed word search books, crossword puzzles, playing pool, playing poker and watching Pittsburgh Steelers football games. Dave is survived by his two sisters, Sandra Kay Dubyak of Romulus, Mich., and Linda Sue Geibel of Slippery Rock; three nephews, Vince Dubyak, Mark Dubyak and Sam Hicks Jr.; and several great-nieces and great-nephews. There will be no visitation and interment will take place at St. Mary’s Cemetery, Herman. Arrangements were entrusted to the Geibel Funeral Home, 201 E. Cunningham St., Butler. Memorial donations may be made to Grapevine Center, 140 Elm St., Butler, PA 16001. Sadly, our dear friend, co-worker and Grapevine Center member, Glen Troutman passed away on March 5th, 2013, after a long illness. Glen managed the Grapevine newsletter as a volunteer for years, putting in many hours of dedicated work, even when he was not feeling well. He will be very sadly missed. He is survived by his ex-wife and son. Long time member of the Grapevine Center, Alice Lehner died on Christmas Eve, Monday, December 24, 2012, aged 72. She spent the last two months before her death at St. John’s Specialty Care Center in Mars. She had no family members to survive her. She will be sadly missed. Nancy Lamison, 73, of Butler, passed away on Friday , 14 Dec., 2012 at the VNA Inpatient Hospice. She was born on June 9, 1939. In Nancy, Mental Awareness Self Help (MASH) has lost a valuable and loved adviser and board member. She was also a member of the living World Evangelical Free Church, the Good Samaritan Shrine 32, OES 45, Ladies Auxiliary of the South Butler Volunteer Fire Department, the Martha White Shrine 14 of New Castle, PMBC and the Stroke Lighthouse Foundations. She wasan active volunteer at the Sunnyview Nursing and Rehabilitation Center. She is survived by her son, Paul D. Lamison of Russell, Ohio. Jeannie Schaum, 64 of Butler, who worked on the Grapevine Center’s C/FST team, died on Wednesday, Nov. 21, 2012. She passed away in the Evergreen Nursing Center, Harmony. She will be greatly missed, here at the Grapevine. Jeannie is survived by her three sons, Kevin P. McKeever of Media, PA, Willipm P. (Linnae) McKeever of North Ridge, CA, and Tim M. McKeever of Reading, PA, her sister, Paula (Randy) Guinther of Greensburg, two grandchildren, and nieces and nephews. She worked as a licensed practical nurse in a nursing home in Hamburg, PA.
She is survived by her daughter, Tessa Kepple and husband, Frank of Karns City, two grandchildren, sisters Stacey Bowser and husband James of Butler, and Lori McCarthy Snyder of Chicora. 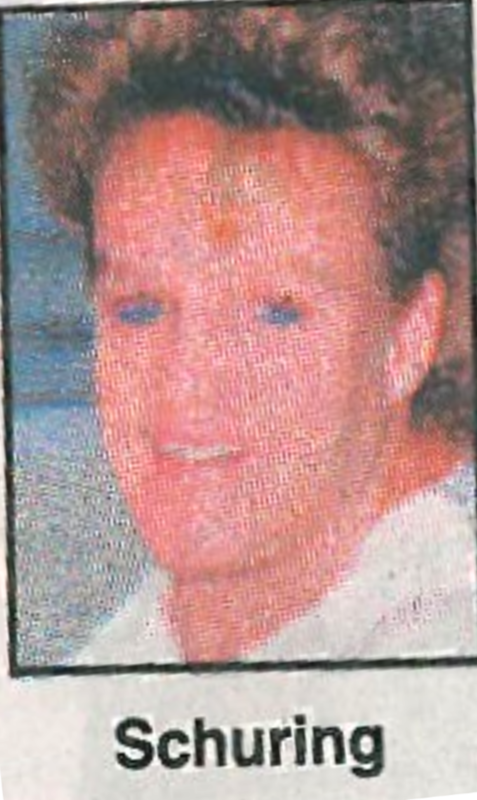 Theresa Flick, 49 of Butler, passed away September 25th, 2012 at her home following an illness. She was born 8/22/1963, in Butler, the daughter of the late James Harvey Flick and the late Bernice Louise Kamerer Flick of East Brady. She graduated from East Brady Area High School in 1982, and went on to work at Chicora Medical Center and Hills Department Store. She is survived by her sister, Patricia Sutton, nephews Robert and David Sutton, as well as greatnieces, great-nephews, and cousins. Sharon V. Gatz, 60, of Butler, a much loved Help Line operator for the Grapevine Center, passed away on Wednesday, January 4th, 2012 at Butler Memorial Hospital. Born in Pittsburgh on Oct. 23, 1945, she was the daughter of the late Harley C. and Virginia Stockhausen Walter. She was a graduate of Mars High School, Class of 1963. Other than her work at the Grapevine Center, Sharon was a homemaker, and leaves behind two daughters and two sons, 11 grandchildren, and one great-grandchild, as well as her husband, Al Gatz to whom she was married for 41 years. She was a member of the Valencia Presbyterian Church, where a memorial service was held with the Rev. James W. Kirk officiating. Sharon will be sorely missed at the Grapevine, and by all the people who called in and received warm, and caring attention when they needed it most. Adam Briggs died suddenly on Thursday, July 7th, 2011, at his home. He was just thirty-two years old. His deep, distinctive voice, and cheerful nature will be missed at the Grapevine Center. His talent as a pool player will also be missed. Joker, that he was, he would probably appreciate the quip, that now, as he is gone, Pepsi will probably go out of business! Thank you for sharing Richard’s memoriam here on the Grapevine Center site. He loved spending his time at the Grapevine and being a part of such a wonderful group of people. God’s blessings to all. Adam and Terri, God’s angels on earth, are now His angels in Heaven. So many dear friends have passed on. We miss them. Adam was a good guy. He was always friendly towards me. He will be missed. Thank you for your kind comments, remembering your friends this way makes others think about them as well.